To resolve the issues of multi-polygonal wear of tire with high-speed, a multi-dynamic model, considering the four inter-coupling degrees of toe angle, camber angle, vertical vibration and self-excited vibration of tread along with the lateral direction, is built. The model is motivated by the component velocity of vehicle driving speed along with the lateral direction of tire and the sensitivity analysis of parameters, affecting the bifurcation speeds of vehicle, is gained by a numerical simulation method. 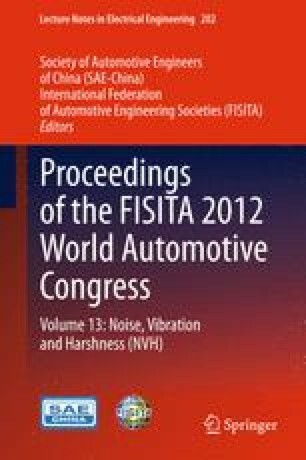 At the end of this paper, several control strategies with crucial engineering significance are concluded to suppress the self-excited vibration of tire, and then decrease the multi-polygonal ware of tread. The authors gratefully acknowledge the support and encouragement of Dr. Pang Jian and Dr. Li Chuanbing during the writing of this paper.